This naturally gorgeous Colour Quench lip tint moisturises, nourishes and colours your lips the natural way. It comes in a handy recyclable tube. Five gorgeous colours, five delicious flavours for the perfect kissable sensation. Made from a blend of rich avocado oil and coconut oil, this shimmery golden raisin lip tint contains essential fatty acids that produce healthy, luscious lips. Natural beauty that is 100% gluten free and vegan. The Pacifica Colour Quench Lip Tint Coconut Nectar - 4.25g product ethics are indicated below. To learn more about these product ethics and to see related products, follow the links below. 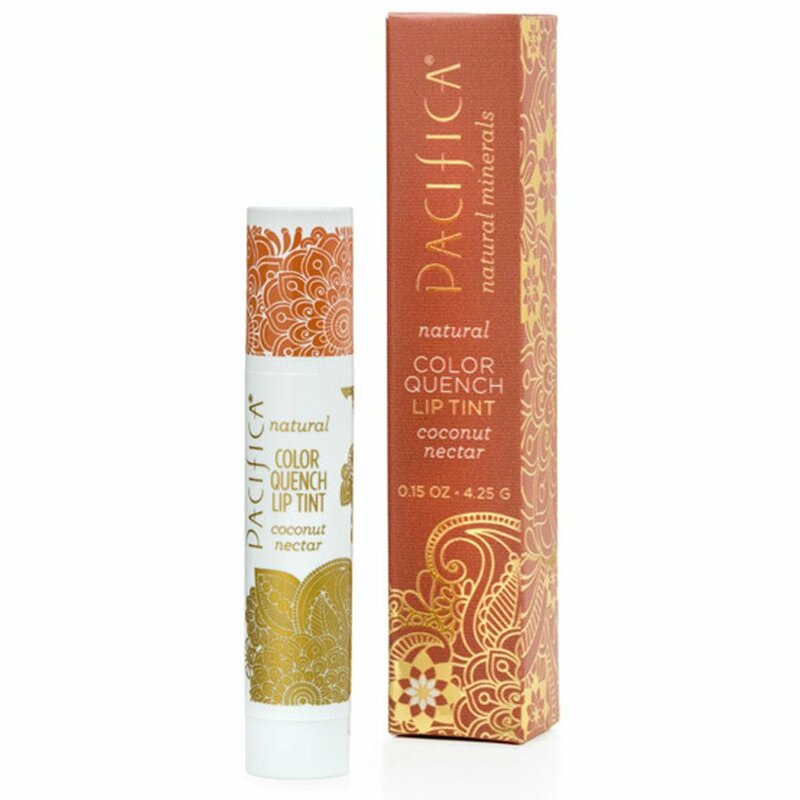 There are currently no questions to display about Pacifica Colour Quench Lip Tint Coconut Nectar - 4.25g.